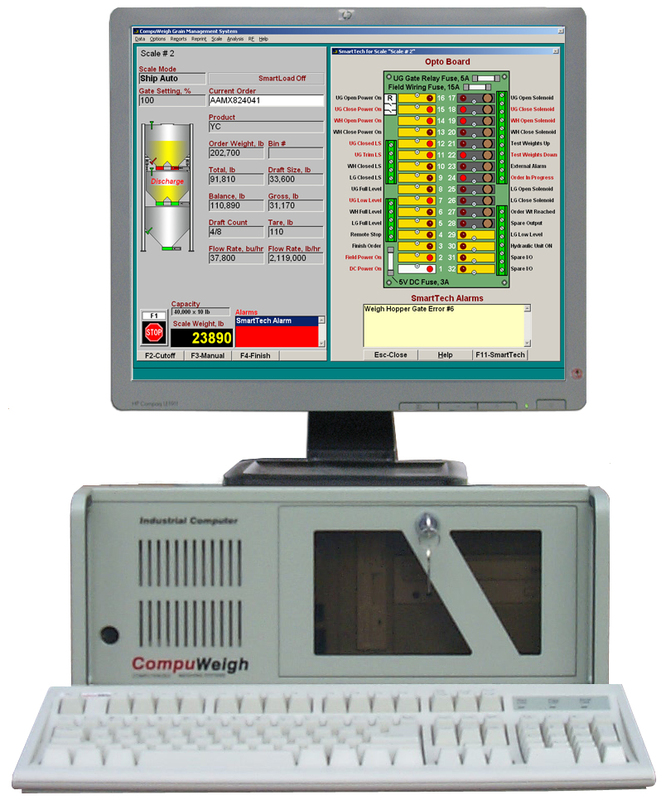 Your 24 by 7 bulk weighing watchdog! No one can afford to lose a $10,000 unit train bonus. Bulkweighing scales are complicated devices and when they stop you need a help immediately. How does SmartTech fix the Problem? SmartTech constantly monitors 40 items on the scale to ensure that everything is working correctly. It checks that instructions sent out by the CD-4000 controller are carried out on the scale. It verifies that inputs from the scale are received when they should be. It checks that both field and control power are working properly. 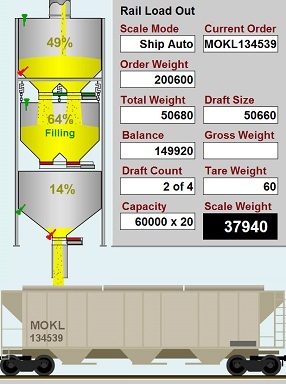 It checks that the trim limit switch on the weigh hopper feed gate is set in the optimum position. If there’s a problem, an alarm instantly appears on the screen. Press the F11 key for more information. You will see a graphical display of the scale and the opto box. The scale picture shows where the problem is. While the opto box shows the lights that are on, just as if you looked inside the SmartTech opto box. We have told the weigh hopper discharge gate to open, and the solenoid says that it’s trying to open. The WH close limit switch says the gate is open but . . .
We have a problem. Actually we probably have two problems! Press F1 for Help and follow the instructions. Why does the close limit switch say that the gate is open but the weight is stable? Limit switch is not quite in the right position. Why isn’t the gate opening?